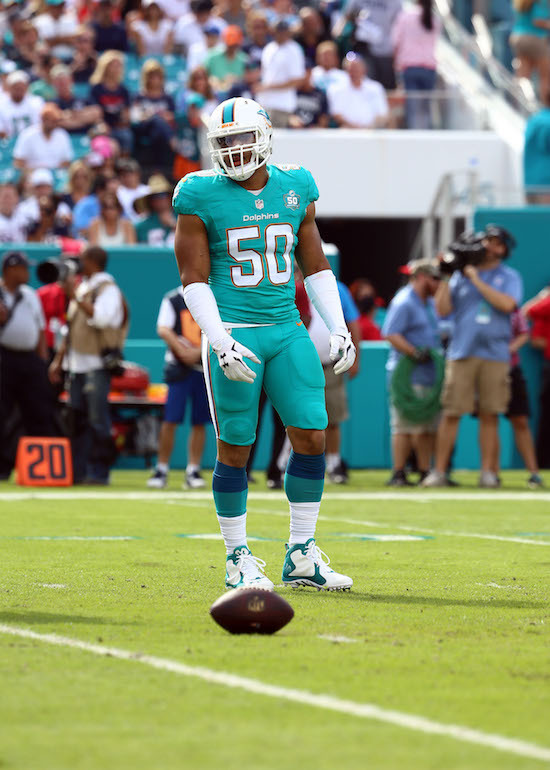 Multiple media sources are reporting that the New York Giants have agreed to terms with unrestricted free agent defensive end Olivier Vernon (Miami Dolphins). The contract is reportedly a 5-year, $85 million deal that includes $52.5 million in guaranteed money. The Jacksonville Jaguars were very much in play for his services as well. Five years, $85 million for Olivier Vernon with the Giants. The Jaguars were right there, money wise. Giants sold it. Giants coach Ben McAdoo called Vernon within the last hour. Helped finish off the deal. The 25-year old Vernon was originally drafted in the 3rd round of the 2012 NFL Draft by the Dolphins. In the last three seasons, he has played in every regular-season game with 46 starts, averaging 55 tackles and 8.5 sacks per year. Vernon is a very good two-way player who is disruptive against both the run and the pass. He can get heat on the quarterback from both the end and tackle positions, similar to Justin Tuck, and gets a lot of hits on the quarterback. The Bergen Record is reporting that wide receiver Victor Cruz and the New York Giants are working on a re-structured contract that will keep him with the team in 2016. The Record’s source is optimistic the deal will be completed. Cruz is currently set to count $9.9 million against the team’s 2016 NFL cap. It has been speculated that if Cruz, who missed most of the last two seasons with serious leg injuries, does not accept a pay cut, he may be released from the Giants. New York Giants unrestricted free agent Robert Ayers is visiting the Tampa Bay Buccaneers. The New York Giants had reportedly expressed interest in unrestricted free agents wide receiver Mohamed Sanu (Cincinnati Bengals), right tackle Mitchell Schwartz (Cleveland Browns), and right tackle Bobby Massie (Arizona Cardinals), but all three players signed with other teams. As previously reported, defensive end Jason Pierre-Paul has re-signed with the New York Giants. The contract was reportedly a 1-year, $10.5 million deal. Pierre-Paul suffered serious and permanent injuries to his right hand from a July 4th fireworks accident, including the amputation of his index finger and severe damage to his thumb and middle finger. He returned to the playing field halfway through the 2015 season, wearing a large club that made it impossible for him to grab and tackle with his right hand. 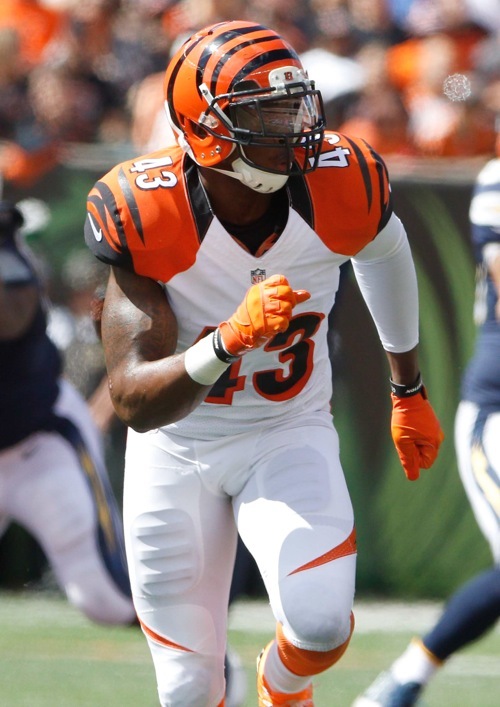 Pierre-Paul started the eight games he played in and finished the season with 26 tackles, 1 sack, and 6 pass defenses. Pierre-Paul underwent additional surgery on his right hand after the season in the hopes that he can shed the club and wear a glove. “It’s definitely going to help,” Pierre-Paul said of the surgery. “I’ll be able to grab. Now I’ll be able to open my hand up. My fingers are straight, and I’ll be fine. You’re limited with the club. I’d rather play with one finger than have a club on. Even with the club, even with my injury, I’m still the best at my position. Otherwise, I wouldn’t be here. I think I played pretty well. With the club, people didn’t expect me to play the way I played. I played every down. It was just eight games – I was just getting started.